Go walking, biking, mountain biking or cross-country skiing on winding trails through natural areas that offer a spectacular look at Ramsey County's diverse landscape. Ramsey County manages six regional trails within the Metropolitan Council's Regional Recreation Open Space System, as well as several miles of trails located within parks. All trail maps are available in PDF format. Tamarack Nature Center - Walking and hiking only; biking is prohibited on trails within the center. Observe directional signs and speed limits where posted. Trail and park hours are 30 minutes before sunrise to 30 minutes past sunset. No motor vehicles on trails. Pets on trails must be leashed at all times. Owners must clean up after their pets. Bikers must yield to pedestrians. Bikers should pass on the left and announce their approach. Bikes are allowed on paved trails only. Mountain biking on designated trails only. 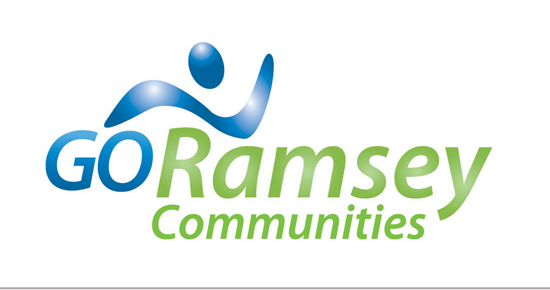 Find trails in your neighborhood with GoRamsey, the most comprehensive trail mapping program in Ramsey County.